Clean Air Lawn Care began as, what some would consider, a small rebel in an already stable market. We faced some harsh conditions at first with very little support from the industry, skeptical customers, and less than desirable equipment. Given those formidable barriers, our only chance at success in 2008 was superior people. We are here today as the leader in sustainable and organic lawn care in the US because we were founded on the backs of great people. That’s just who our owners are, though – dedicated, fastidious, hard-working individuals who are good at what they do and enjoy doing it. Much has changed since 2008, we now operate state of the art lawn care equipment (some of which we invented – for instance, solar-powered lawn care) and we are now highly respected in the lawn care industry. One thing hasn’t changed, though, and that is the quality of people who run Clean Air Lawn Care. Our eco-friendly franchise owners are a different breed of entrepreneur. They’re risk-takers who aren’t afraid to stand apart from the status quo, yet they’re humble in their undertakings. Don’t take that the wrong way; they’re very proud of what they do and they won’t hesitate to celebrate their success after a hard day of work. Clean Air Lawn Care would not have succeeded back in 2008 without the strength of the local owners and that statement is still true now. The web of support that the owners provide one another and the camaraderie among the team as a whole is somewhat of an anomaly in today’s business market. There’s a special bond between the breed of people who operate Clean Air Lawn Care franchises. 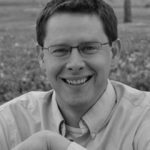 The typical owner is excited about the prospect of being an outdoor aficionado, proud to be a steward of his or her community, motivated for high achievement… and a bit of a goofball. These qualities have always been the pillars of our success, and that will never change. 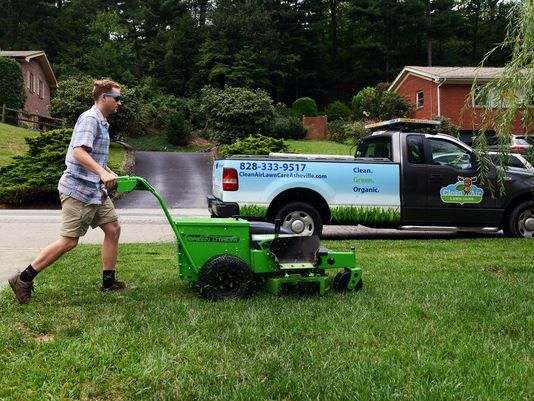 Learn more about the process of buying an Eco-friendly lawn care franchise here! Founder and CEO, Kelly Giard, was featured in Entrepreneur Magazine’s Franchise 500 issue as Emerging Entrepreneur of 2009 for Clean Air Lawn Care’s firm commitment to improving the quality-of-life for families and communities across the U.S as an eco-friendly franchise.